Here’s a great dress for the geek girl in your life. These tube dresses will make you look like a life-size Nintendo Game Boy. 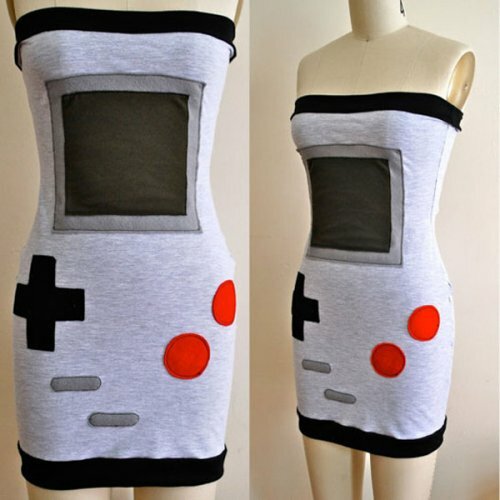 Each dress is made from a jersey knit fabric, in colors that match the Nintendo Game Boy. You even get the felt A/B buttons, as well as Start and Select, but you might get slapped if you get too button happy and touch the wrong area. It was actually sold yesterday, but Etsy shop HereandThereVintage will continue to offer some pretty cool clothing just like this one. According to Nintendo CEO Satoru Iwata, the company is planning to implement paid downloads for both the 3DS and Wii U. Iwata said that developers will have access to the system for the 3DS by the end of the year and he said Nintendo was thinking about extending the life of some games by making new levels available. Iwata said that Nintendo will not support low quality content either, as in unlocking keys or stat increases. Don’t worry though, he also seemed to indicate that free games won’t have added chargeable content later. The price of the Nintendo 3DS in the US is dropping on August 12th from $249 to $169. Other regions are getting a similar price break as well. Hey, but what about US gamers that have already shelled out for the full price? Gamers that have logged into the eShop at least once before the price cut will get 10 free NES virtual console games September 1st, plus 10 more Game Boy Advance virtual console games. This is likely due to wanting to compete with the upcoming Vita. Nintendo plans to sell 16 million 3DS units in the financial year, but still slashed its financial projections for the year from ¥110 billion to just ¥20 billion. Right on schedule, this morning Netflix for 3DS owners is now available. The app gives the game system access to the entire catalog as long as you have a streaming-enabled plan. Bookmarking works and lets users resume on the 3DS or even another device. Obviously videos on Netflix are in 2D. We doubt that Netflix will start adding 3D anytime soon. The app is free to download from the Nintendo eShop. With the new price structure streaming is $8, but costs $16 for those who also want unlimited DVDs as well. We’ve been waiting patiently for Netflix streaming on the 3DS, and it looks like tomorrow’s eShop update will out the service officially. If you still plan on using Netflix since the new rates were announced yesterday, anyway. If you plan to keep using Netflix, then you’ll be able to use it anywhere as long as you are in range of a WiFi signal. 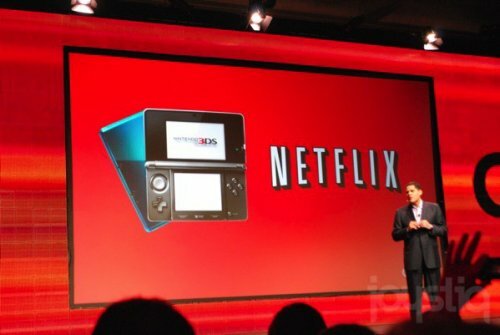 So how many of you will be watching Netflix on your 3DS? A million in Japanese sales is pretty awesome, but even Satoru Iwata admits that the 3DS isn’t doing quite as well as they had hoped. It took a little while but Nintendo’s 3DS handheld hit the million mark after 13 weeks, which is a long time compared to the original dual-screen handheld, which accomplished this in four. In comparison, the PSP sold its first million in about seven weeks. The 3DS could still hit the top spot, but remember, the PlayStation Vita is coming. They should be scared. Remember the old days when we played that gold Zelda cartridge? Good times. Cool cartridge. Well, now Nintendo has announced that The Legend of Zelda: Skyward Sword for Wii is “finally done,”, but wait there’s more. 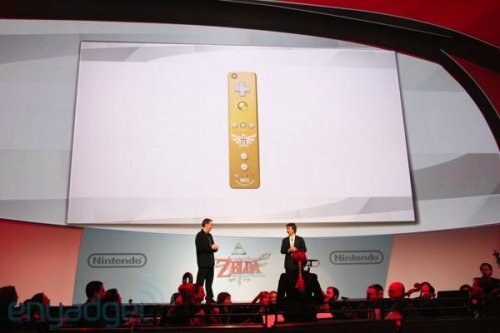 With its release this holiday season there will also be a limited edition gold Wiimote. With MotionPlus built-in. No details on price yet. Hopefully we will have more soon. 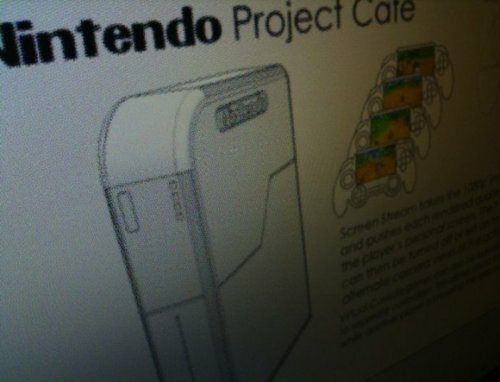 Coming in 2012, Nintendo’s next home console will be called the Wii U! A variety of new controls will be available thanks to that new controller with a 6.2-inch touchscreen in it. And you’ll no longer be tied to a TV to enjoy your gaming action. The Wii U controller can handle your gaming session when the television is needed for other purposes. That’s a great feature by itself. A built-in front-facing cam will let you video chat as well. You won’t have to use that large 6.2-inch controller if you don’t want to, the Wii U will be compatible with all current-gen accessories and software. Your Wii collection will also play on the U version of the console as well. Nintendo has already promised its next-gen console will make its debut at E3, and rumors continue to circulate about just what this “Wii 2″ can do, and what Nintendo will call it. 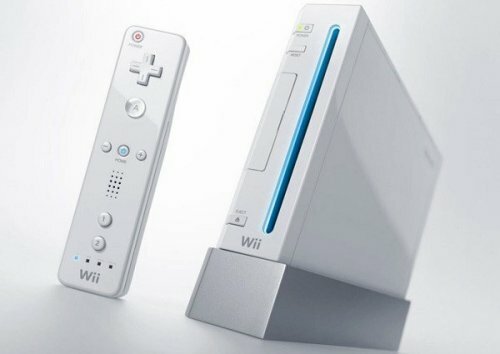 “Wii” was odd, but what about simply “Nintendo”? According to Game Informer, “Nintendo” is supposedly among the current frontrunners for names. Nihon Keizai Shinbun confirms the talk of a 6-inch touchscreen, along with a camera and its own internal power source. That will allow it to be used as a standalone gaming device, while the camera can also be used to create an avatar. Sounds good so far. We will know more shortly. 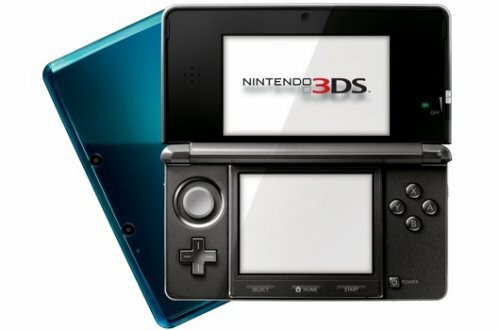 Good news for 3DS owners. 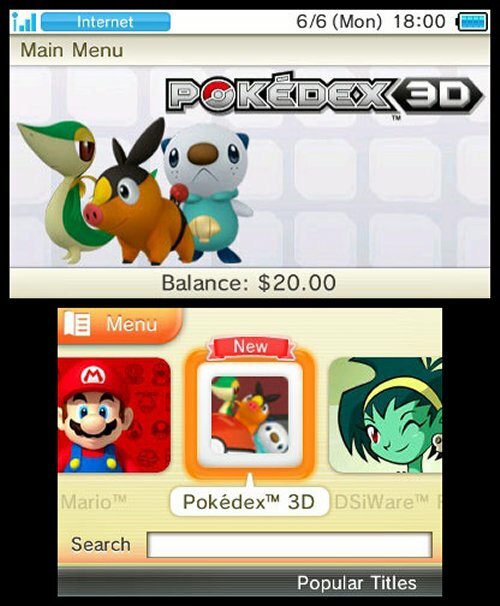 When you get the June 6 update for the 3DS, along with the browser and eShop, you’ll also get free copies of a 3D-upgraded Excitebike and a new Pokedex 3D. The new app shows collected Pokemon characters in 3D and even supports augmented reality markers to show them in 3D in a ‘real’ environment. As real as it can get anyway. The update also gives you the ability to port over most DSiWare games from older systems to a 3DS and the ability to download short 3D videos, like music videos, comedy, or movie trailers. Out with the old and in with the new. That’s what Nintendo is thinking with an official price cut on the DS Lite from $129.99 to $99.99. Very nice of them. 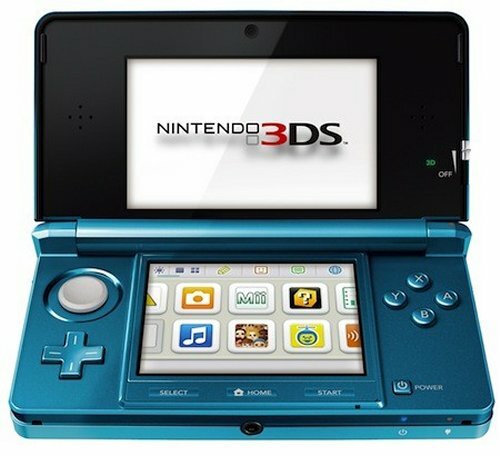 The DSi’s price is still $149.99 and the DSi XL is $169.99. 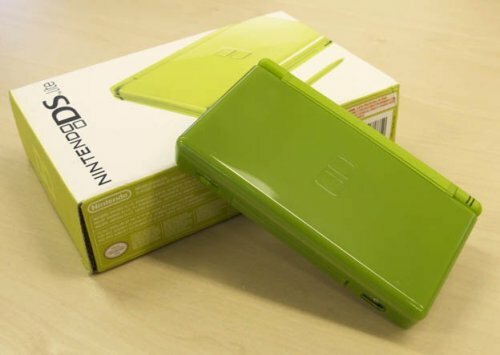 Aside from the DS Lite price cut, Nintendo is also playing with colors. Red in particular. 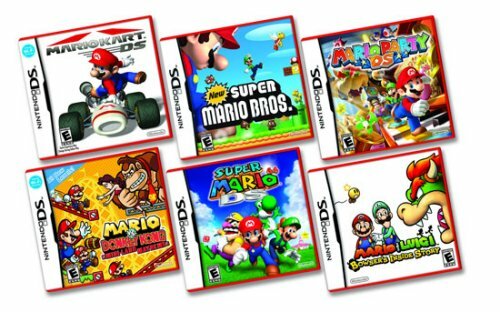 They will be re-releasing six classic DS Mario games with red boxes. They hope that the red color makes them easier to spot when customers are shopping for games. These games include New Super Mario Bros., Mario Party DS, Mario & Donkey Kong: Miniland Mayhem, Super Mario 64 DS, Mario Kart DS and Mario & Luigi: Bowser’s Inside Story. So who is buying a DS Lite now? That DS Lite above looks pretty genuine right? That’s what the buyer thought too when he purchased it on eBay. When he opened the package he knew something was wrong. The corrugated cardboard box was the first suspicious giveaway. Then on the back of the box there was pixelated English text. When he opened the package he found that yes it was a fake, however, it still played DS and GBA games in their proper slots. The surface of the system has some small pockmarks, which is not up to Nintendo’s high quality assurance standards and the inner bezel is also discolored. 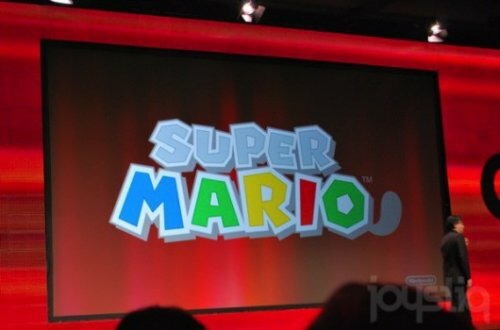 Well, we knew it was coming and sure enough, Nintendo just made it official. 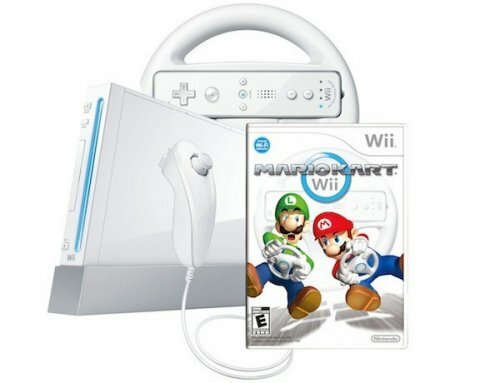 They will cut the retail price of the Wii down to $149.99, and will also include a copy of Mario Kart and the Wii Wheel peripheral with the console. They will replace the current bundle of Wii Sports and Wii Sports Resort games. The steering wheel and the Wii Remote Plus and Nunchuk controllers will match the color of the console you buy. Not a bad time to get a Wii if you have been waiting for such a deal. Nintendo knows all about supply and demand and how to work the system. There is high demand for Nintendo’s games, so much so that often times third-party game sales on Nintendo’s consoles suffer at the hands of first-party titles. Nintendo, in a move to avoid hurting it’s third party titles, has decided that they will only decide on the dates of popular first party releases after they know the release plans of other companies’ games. That has to be good news to third party developers. It’s official. The next Wii is a go. Nintendo has announced that it plans to introduce the console next year. A “playable model” will be shown off at the E3 gaming expo in Los Angeles on June 7th. Details are scarce at the moment, but we just hope it isn’t called Wii Wii. Although the French might like that. We can’t wait to see what Nintendo comes up with. The controller certainly sounds intriguing. And it will be nice to play a Nintendo game in something better than 480p. As we learn more, we will pass it on.